Welcome to our coverage of SmackDown Live for April 18 2017! Randy Orton is the WWE Champion on SmackDown Live, however he is set to face Raw’s Bray Wyatt at Payback in a House of Horror’s match. Should Orton lose, SmackDown won’t have a World Champion, which would also make tonight’s main event pointless. A Six-Pack match will see Sami Zayn, Jinder Mahal, Dolph Ziggler, Luke Harper, Erick Rowan, and Mojo Rawley, battle it out to become number one contender. That’s an odd list of men, especially considering Sami is unlikely to win and face Randy, which really just leaves Ziggler and Harper. Please not Mojo. So it seems a no-brainer that Randy will beat Bray again and retain the title because otherwise SmackDown wouldn’t have a main Championship. However, it wouldn’t be crazy to think Bray could win. Realistically, Raw doesn’t really have a main Champion right now either, so should Bray take the title over there, he could hold the fort down while Lesnar ploughs fields in Saskatchewan. Sure that would leave SmackDown without a Champion but with Kevin Owens and AJ Styles fighting over the US title, that belt could be elevated to main event status. I would be totally fine with that. Of course, one of the big titles could change hands at SummerSlam and the winner gets drafted to SmackDown, meaning we’re only without a Champion for a few months. Let us know what you think of this idea in the comments! As mentioned, AJ Styles is the number one contender to Kevin Owens’ US Championship. This feud and title are in a similar position to the WWE Championship, given that Owens could lost to Jericho at Payback, however that’s so much more unlikely to happen since Jericho is leaving. This could be an amazing feud, likely to deliver match of the year candidates. The two should lock horns for the first time on tonight’s show. Elsewhere, Shinsuke Nakamura is set to unleash fury on Dolph Ziggler, after interrupting the Show-Off last week. WWE might want to keep them apart until the next SmackDown PPV, Backlash, although that isn’t for another month. Ziggler is already in the main event tonight but I wouldn’t be surprised to see them cross paths at some point. Also, Charlotte debuted on SmackDown last week and made her intentions of becoming Women’s Champion clear. We should see things start to ramp-up in the women’s division, which is pretty full of talented ladies right now. All that and much more to look forward to on tonight’s SmackDown! 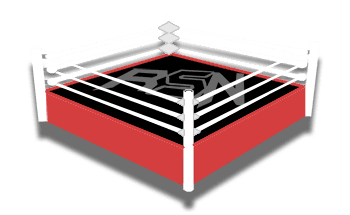 Let us know what you are excited for, check out the RingSide News app, and enjoy the show!